Selecta HTC - ochrona i pielęgnacja zwierząt. Shampoos for dogs Fafi, for every dog race, with different hair coatings. 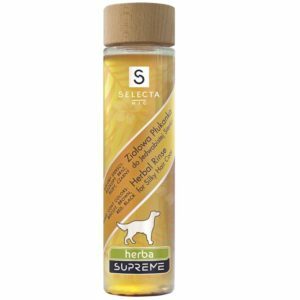 Shampoos Fafi are produced in several variants, suitable for every dog. MAX- a line of biocidal and repellent products against ectoparasite: collars, drops sprays. The collars against ectoparasite produced by us are available in several sizes and colors. Products from the line MAX, for repelling and eliminating fleas and ticks of dogs and cats. They act for 120 days, protecting an animal from invasion of fleas and ticks. Herba Max is a series inspired by nature. 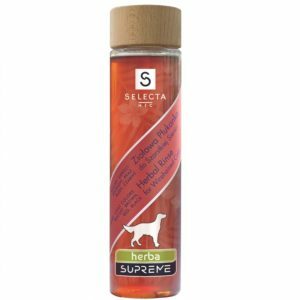 Herbal oils included in products Herba Max perfectly care for hair coating and give it healthy appearance and herbal aroma repels insects and ectoparasites. Learn about our company, our products and about pet industry.